People are quick to criticise political parties for ‘going negative’. Just a day into the official campaign, David Cameron was already defending himself from allegations about his party’s use of negative tactics. While the Conservatives have been the recipients of most of the accusations in the current election – particularly after Defence Secretary Michael Fallon’s personal remarks about Ed Miliband – one has only to look to Twitter to see that no party can credibly claim an entirely positive campaign. The term ‘negative campaign’ is often used to refer to campaign messages that people deem derogatory, overly personal, or perhaps even untrue. However, a more sensible way to understand negative campaigning” is to use it as a description of political messages in which politicians are talking about their opponents. Discussing one’s opponent(s) can take many forms – including referring to their policy positions, qualifications, or previous record – but the content is almost always negative in the sense that it focuses on the weaknesses of the opponent. (Parties rarely talk about their opponents to praise them.) Figure 1 contains excerpts from two leaflets – one Labour (top) and one Conservative (bottom) – where the parties engage in negative appeals by attacking the policy positions of another party. In order to avoid negative messaging altogether parties would need discuss only their own merits and qualifications, with no mention of their opponent. Using a new dataset of more than 4,000 election leaflets allows us to look at the tone of the messages parties disseminated to voters in the run-up to the 2010 general election. Our dataset included leaflets from more than 500 constituencies in Scotland, England and Wales, though we limit the analysis to the Conservatives, Labour, and the Liberal Democrats as nearly 75 per cent of our leaflets belonged to these three parties. We coded each leaflet based on a number of dimensions, including the issues covered, the nature of the message, and the types of images used. If we look at what parties say in their leaflets, negative campaigning is more common than parties might be willing to admit. 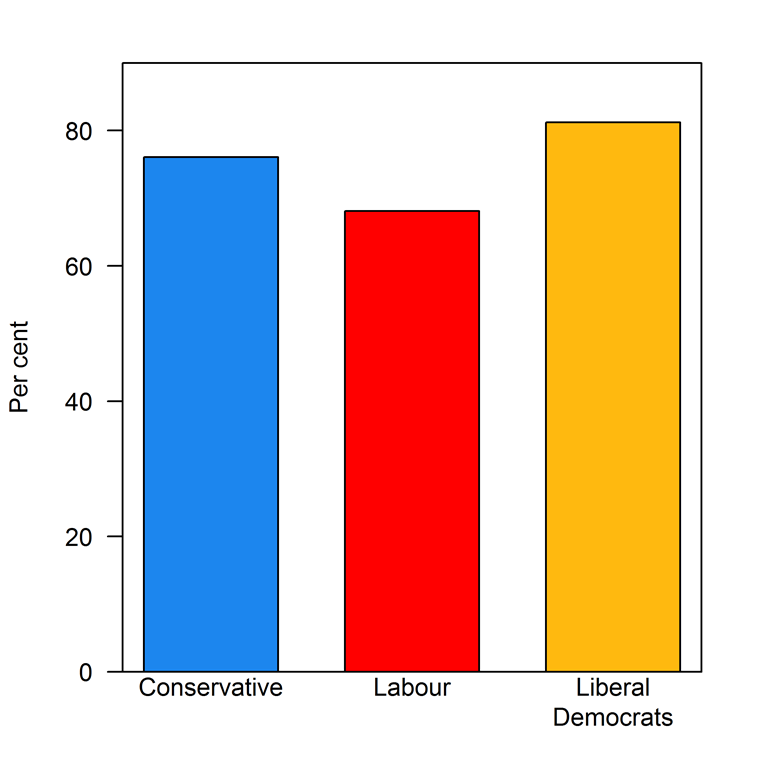 Figure 2 displays the percentage of each parties’ leaflets that contained at least one negative message. The majority of the leaflets from all three parties contained negative appeals – that is, they attacked the policy positions, record, or qualifications of another party. The Liberal Democrats were most likely to criticise another party or an opposing candidate; more than 80 per cent of their leaflets contained a criticism of an opposing party or candidate. The Conservatives were moderately more positive, with 75 per cent of their leaflets containing negative appeals. Labour was the most positive of the three parties, although nearly 70 per cent of the party’s leaflets contained negative messages. If we look at who the parties were attacking in their leaflets – keeping in mind that parties can attack multiple opponents in the same leaflet – we see that Labour and the Conservatives tended to target each other. Figure 3 shows the flow of negative attacks between the three parties. Fifty-nine per cent of Conservative leaflets contained an attack aimed at Labour, while 51 per cent of Labour’s leaflets included an attack on the Conservative Party. 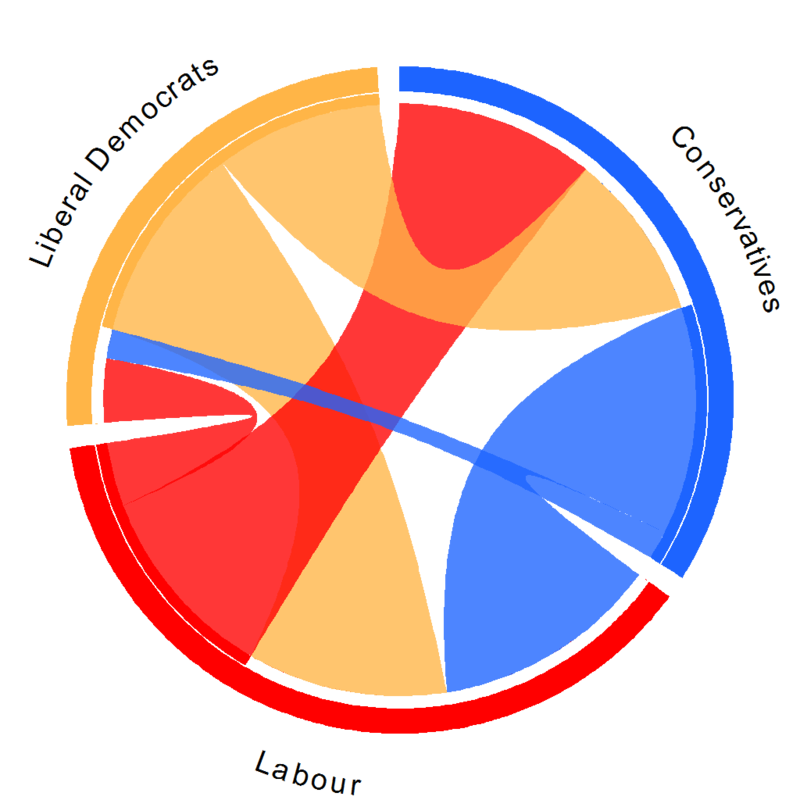 However, Labour was more likely to target the Liberal Democrats. Sixteen per cent of Labour’s leaflets included a negative message aimed at the Liberal Democrats, compared to only eight per cent of Conservative Party leaflets. In contrast, the Liberal Democrat’s attacked both of the two largest parties, with 52 per cent of their leaflets containing a message regarding Labour and 44 per cent containing an attack on the Conservative Party. In the coming weeks we will explore how parties are using negative messages in their 2015 campaign leaflets. If the past is any measure of the future, we should be wary of any party who says they are running an entirely positive campaign. Help us study parties’ campaign strategies in 2015 by uploading your election leaflets to Electionleaflets.org. Caitlin Milazzo is an Assistant Professor in the School of Politics and International Relations at the University of Nottingham. 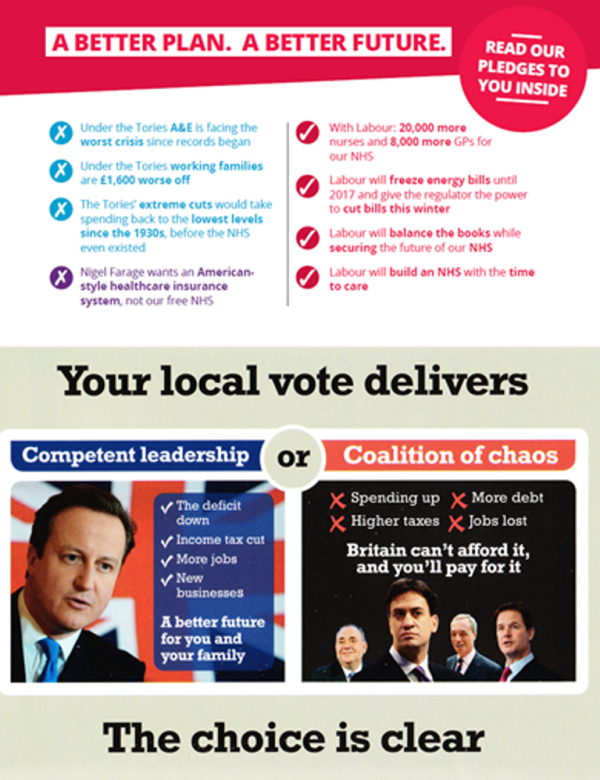 The British Election Leaflet Project is a collaborative effort with Jesse Hammond (University of California, Davis). Research assistance is provided by Joshua Townsley (University of Nottingham). The project is supported by the Centre for British Politics at the University of Nottingham. House of Cards and other Conservative Fictions? Will any government commit to a house price fall in order to save the ‘property-owning democracy’? Por acaso no sÃ­mbolo do clube atÃ© hÃ¡ uma faixa com ouro sobre azul, a Ã¡guia Ã© amarela e o «E Pluribus Unum» estÃ¡ sobre o verde e vermelho da bandeira nacional.HÃ¡ muito espaÃ§o para criatividade, qualquer dessas escolhas para cores poderia ser justificada.